Books: Gao Village: Rural Life in Modern China (2007), The Battle for China’s Past: Mao and the Cultural Revolution (2008). 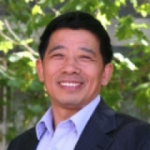 Mobo Gao is a Chinese-Australian academic. Born Mobo Gao Chang Fan in a small village in Jiangxi province, he was the son of poor peasants. As a child, Gao spent the difficult years of the Great Famine by foraging for wild plants. According to one profile, the young Gao also worked “collecting night soil [sewage], cleaning pigsties and pushing a wheelbarrow”. During the Cultural Revolution, the literate Gao also worked as a village teacher. In 1973 Gao relocated to Fujian to undertake studies of English at Xiamen University. He later completed higher degrees in Britain. Gao has since worked as an academic, including stints as a visiting fellow at Oxford and Harvard universities. He emigrated to Australia in 1990 and became a popular lecturer in Asian studies at the University of Tasmania. In 2008 Gao relocated to the University of Adelaide to head its Confucius Institute, a centre for the study of Chinese language and culture. Historiographically, Gao is a neo-Maoist whose work defends Mao’s socialist reforms, including the Great Leap Forward, the People’s Communes and the Cultural Revolution. Gao acknowledges that errors were made and excesses occurred, though he attributes few of these to Mao. Instead, Gao lays much of the blame on urban and party elites, the same groups who have demonised Mao since his death. Gao has written two prominent books. The first of these, Gao Village: Rural Life in Modern China (2007), was a memoir and close study of his home village and how it was impacted by Maoist policies. According to Gao, his village was not severely affected by the Great Leap Forward, nor did it experience the intense violence of the Cultural Revolution. Communist reforms brought his village some minor improvements in healthcare and education, though these advances were offset by population growth and higher taxes in the post-Mao era. Gao’s second book, The Battle for China’s Past (2008), is a fascinating study of how the Cultural Revolution has been interpreted and represented, both inside China and in the West. Again protective of Mao’s legacy, Gao criticises the works of writers like Jung Chang and Li Zhisui, claiming they embrace a Western perspective without understanding Mao’s significance to rural development in China. With the exception of material under Quotations, content on this page is © Alpha History 2018.